Prescription Drugs worth possible Side Effects? Certainly there are many conditions where the positive attributes of a drug outweigh the possible negative side effects. My thoughts today point towards times when the prescribed drug is for something more minor that certainly makes you question whether risking side effects is worth the benefits of the drug. We see more and more commercials advertising their drugs for certain medical conditions. All are required by law to list possible side effects. Have you noticed those that seem to take more of the commercial to talk about the side effects then the actual drug and it’s benefits? Comedian Tim Hawkins does a hilarious skit of this very topic. What are possible side effects of NUVIGIL? Stop taking NUVIGIL and call your doctor or get emergency help if you get any of the following serious side effects:Common side effects of NUVIGIL are headache, nausea, dizziness, and trouble sleeping. These are not all the side effects of NUVIGIL. Tell your doctor if you get any side effect that bothers you or that does not go away. Talk to your doctor for medical advice about side effects. What should I avoid while taking NUVIGIL? Do not drive a car or do other dangerous activities until you and your doctor know how NUVIGIL affects you. What should I tell my doctor before starting NUVIGIL? Tell your doctor about all of your health conditions including if you have: history of mental health problems (including psychosis), heart problems or had a heart attack, high blood pressure, liver or kidney problems, a history of drug or alcohol abuse or addiction, or are pregnant, planning to become pregnant, or breastfeeding. Tell your doctor about all of the medicines you take. Women who use hormonal birth control may have a higher chance of getting pregnant, while taking and for one month after stopping NUVIGIL. Talk to your doctor about other birth control methods while taking NUVIGIL. So let’s recap. First thing that stands out to me is the “trouble sleeping”. Does that seem weird to anyone else since the problem to begin with is a sleep disorder leading to excessive sleepiness? Certainly other possible side effects are common with most drugs like headache, nausea, dizziness, etc. The other thing that stood out to me though that is a huge red flag is mental (psychiatric) symptoms including seeing things that are not really there, aggression and thoughts of suicide. What about possible heart problems? Being unable to drive a car driving a car until you know the effects of the drug can be a problem for many as they still have work and family responsibilities. Do any of those seem like something you want to gamble with? I truly am thankful for all the medical resources available and the continual advancements in research that improve our lives. I will say again that there are many conditions that require proper medication and in those cases the benefits surley outweigh the side effects. For those people just looking for a magic pill for all your ailments maybe a closer look at the side effects is needed. I mean seriously if you have to take another pill to help with the side effects created by the first pill is it worth it? We really do not want our children learning bad habits by taking medication for every little thing either. Do your research and look into all areas of assistance before jumping into a prescription. ALWAYS ask your doctor about the side effects and if there is something else that might be just as effective without all the possible side effects. Remember many doctors have incentives to promote certain drugs for the manufactures so make sure they are doing what is best for you, not the drug manufacturer! 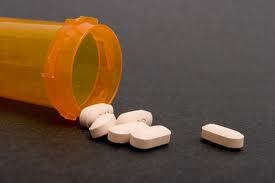 What are your thoughts about the long lists of possible side effects for prescription drugs? You Don’t Say That to a Pregnant Woman! People sometimes just have no clue! In an effort to be conversational or maybe even a show of support often comments are made that just don’t come out right and can offend someone. Nothing could be worse for an already hormonally challenged pregnant woman. I came across this article on Yahoo that originally appeared on WomensDay.com which had me reflecting on not only my own pregnancies but the times I have witnessed offensive comments being made to others. We certainly cannot control what others say and of course we can find offensive comments being made at any time, to anyone, for any reason! It just seems that those un-welcomed and uncomfortable comments are more common at a time when a woman can be more emotional and insecure. Just because a woman is pregnant does not mean she is ready to listen to other women’s birth stories. Particularly if they were not a good experience! Not every woman wants people touching her belly, especially strangers. During one of my pregnancies I actually had a woman (stranger) in the grocery store ask if she could rub my belly. Uh, NO! ……………..and the list could go on! Here is a list of the Top 10 Things Never to Say to a Pregnant Woman as listed in the Yahoo article. Are you sure your not having twins? Your so tiny you can barely tell your pregnant! That can’t be healthy. You’re going to breastfeed, right? Oh, you’re wide! You’re definitely having a girl! I was back in my skinny jeans a week after giving birth. I hope the baby gets your nose! That must have been a surprise! Aren’t you too old to have a baby? Oh if everyone would just think before speaking! Click here to see more of this article on Yahoo. What comments have you experience during your pregnancy or heard said to someone else that was pregnant? Fresh Bread Every Day: Easiest Recipe! I am a pro at making bricks instead of bread! My family loves homemade bread but even using a bread machine it was not always coming out the best or consistent. I also could not find a recipe that was simple enough to want to do every day. We have been trying to build a food supply and find things that we can , stock up on, store and easily make meals with. This was my dilemma because bread is one food that we felt was important to have as part of our food storage and learn to make it ourselves for times when it was necessary and not just for fun. We had a friend at church show us an simple to make bread recipe and I couldn’t believe just how easy it is. This Artisan Bread recipe only requires 4 ingredients so anyone wanting to stock up on supplies this would be perfect to add to your food storage. You make it in a large batch and can refrigerate the remainder of the bread to use later in the week. Of course you can always do a 1/2 batch if you prefer. What is fun is you can also experiment with this bread and incorporate just about any flavor combination by adding mix in’s. I have tried Garlic Parmesan, Jalapeno Cheese, Italian Herb, Garlic & Green Onion, and 3 Cheese before but there are so many others you can try if you are creative. It can be fun to let your children help knead in the mix in’s. Although I have never tried it this recipe can be used for pizza dough, rolls and more. Making the actual mix is also very easy so even first time bread makers can do it. The original prep is just adding and mixing. Then it will sit for about 2 hours to rise. You can then bake some of the bread at that time if you want or put the dough in the refrigerator. This does not require a bread pan but actually bakes on a flat baking sheet. If you have a stone pizza pan those work great too! For future use during that week you simply pinch off the amount of dough you want and let it sit on the baking sheet for about 1/2 hr until it reaches room temp and it is ready to bake. You don’t even have to take the time to shape it pretty because you can literally just plop it down on the pan and bake it. Let’s be honest too, it can be pretty but it is getting cut and eaten in no time so does it really matter for most occasions? This smells amazing and I promise you will want to make more than one loaf each time. I am posting a website here for this Artisan Bread that has the recipe, instructions and great step by step photo’s. You do not have to use the brands they list and certainly any large container with a lid will work too so just keep it simple with what you may already have! Try this recipe and let me know what you think! 2 Pot Roast Recipes. Fast,Easy Delicious!!! Any meal cooked in a crock pot is my kind of meal. Even better is a recipe where the prep time is just minutes and you literally just throw it all in, close the lid and let it cook. Here are two of my favorite go-to pot roast recipes that really do only take minutes to prepare. The aroma when cooking is to die for and you will love the variety in flavor between the two recipes but both are amazingly sumptuous! You can also toss in some peeled potatoes, carrots or onions if you want or serve with mashed potatoes and steamed veggies. Of course some hot fresh bread or rolls is a must too! Brown the roast on all sides and put in the crock pot. In mixing bowl mix cans of soup with the dry soup mix until well blended. Pour over the roast and close the lid to the crock pot. Cook on high for 5 hours or low for 8 hours. The sauce will be thick enough to use as gravy over the roast and potatoes. Brown the roast on all sides and put in the crock pot. In large cup or bowl add all dry mixes with one cup of water and whisk until well blended. Pour over roast and close the lid to the crock pot. Set on high for 5 hours or low for 8 hours. The sauce will be thin so if you desire a thicker gravy pour the sauce into a sauce pan and then take either 2 tbsp of flour or corn starch mixed in 1/2 cup of water and slowly add to the sauce until it thickens. 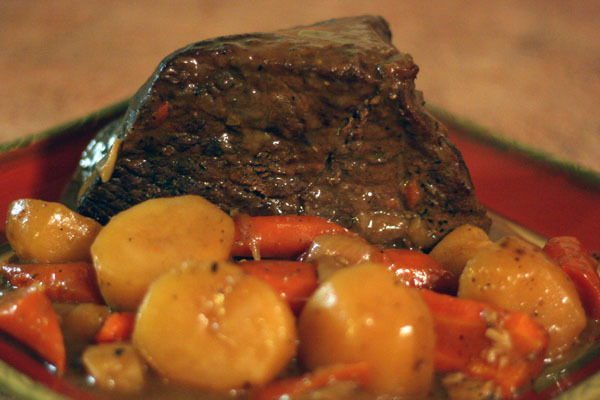 Do you have a good pot roast recipe to share? Headache? Reach for the Peppermint Oil!!!!! We as parents will certainly have a few headaches come our way. Some are related to sickness itself but others will just come from stress. I have always relied on the usual tactics of medication, hot showers, cold packs or sleep to get rid of a headache that often provide little help or take forever for the headache to finally go away. Years ago as I was walking through a high-end department store on my way from the parking lot into the mall I was stopped in the cosmetic section by a woman giving free samples of peppermint lotion. She swore this would help with any aches and pains but especially headache and stress relief. I took the sample because it was free and as you all know I like free. I used it and was pleasantly surprised at the results I got with my first headache. Of course when I went to see about purchasing this same lotion I realized I would have to take out a small loan to afford it so I decided it was not going to become a part of my headache fighting regimen after all! Fast forward many years later where I have some friends telling me about their new excitement for essential oils and all the health benefits they offer. I being the natural skeptic that I am smiled politely but really didn’t pay it much attention until I had my next headache and I remembered the peppermint lotion I had used years ago. Having that good success in the past I contacted my friend who is now a DoTERRA Product Consultant and told her to order me some peppermint oil. Best decision in the world! Not only does it smell good but it has a warming sensation that helps soothe and the natural oil helps alleviate pain. I promise to post more about other oils we use another time however since I had a horrible headache last night and was reaching for the peppermint oil to find relief I thought I would share this today. I now have my whole family in love with peppermint! Although there are many companies that offer essential oils I will have to admit I like everything I have heard about this company DoTERRA because their oils are Certified 100% Pure Therapeutic Grade. They offer a variety of oils and oil blends along with other products containing oils for a variety of needs. You can visit the website for the DoTERRA Product Consultant to inquire about their products or discuss ailments you may want help for. Click HERE for more information. Do you used essential oils? Are you prepared to cook food when your power is out? If you do not have a gas stove or an outdoor grill with plenty of propane you could be really in trouble. We were without power during Hurricane Ike for 17 days. Thankfully we did have a gas stove and were able to still cook. This did however make the rest of the house which was already hot from no air conditioning even hotter. Having alternate methods for cooking can ensure you are still able to prepare meals when there is no power or usual method of cooking. Listed below are several devices you can make at home with little or no expense. Although there are commercial products that are available these can work just as well and save you the cost of an expensive investment. I would prefer to invest in other emergency supplies and even a generator before buying a solar oven. These are simple enough to make and can make a great activity for a church group or scouting event. 1. Rocket Stove: This video demonstration shows step by step the cutting and assembly of a cans rocket stove. This is mostly consists of just different sized cans cut to make this stove. You can then use it to cook anything in a pot or pan like you would a regular stove top. The fuel is simple twigs and sticks you could easily find lying around however if it is wet it may be more difficult to get them lit. A suggestion given is to have twigs and small sticks already gathered and store them in a sealed bucket. You could also just purchase a packages of shims at a lumber or home repair store that will work just as well. 2. Box Oven: You basically only need a heavy-duty box that can either has folding side flaps or a lid to close it (you can get a heavy-duty box at any liquor store for free). You will line the inside of the box with heavy-duty aluminum foil. To secure the foil in all the corners and around the edges you can use a aluminum foil tape found at most hardware stores. This type tape is usually near the insulation section of the stores. Once assembled you can put either rocks or even a piece of tile on the bottom to prevent the coals burning through the bottom. You certainly can put skewers or wire hanger cut into strips to make a rack or another option is what you see with using full size or even half-size soda cans to elevate a metal rack. You can find metal racks like this in the kitchen section of Wal-Mart, Target or other kitchen supply stores. The main thing is to make sure the rack is raised above the coals. You use regular charcoal briquettes and get them started outside the box. Once they are hot but no longer burning you place them in a pie tin below the rack. Use 1 charcoal briquettes for every 40-50 degrees you need to cook. So for 350 degrees you would need 7-8. Close lid and let it cook. You can even take a cooking thermometer and stick it into an opening to monitor the temperature in the oven. 3. Wonder Oven or Wonder Box: There are many places to go learn how to make one and they are pretty easy to assemble Many people will assemble the wonder oven and place it into a rubber tub for ease of storage and transporting. Basically food can be started on the stove-top, oven or even a propane grill or camping stove and then once they reach the temperature they need to cook at you can transfer them to the wonder oven. When sealed off it will then contain the heat and continue to cook it. It is also good for transporting hot items and keeping them hot. 4. Home Made Solar Oven: If you cannot afford a manufactured solar oven then this is something to consider if you or your spouse are a little handy. If you do a search on the internet for home-made solar ovens there are a variety you can make from card board boxes all the way to one built with wood. 5. Pringle’s Can Solar Oven: Oh Yes. I had to see it for myself and it is really cool. This would be fun to do with the kids but also could come in handy in emergencies. This would mostly be for skewer cooking like hot dogs, or shish-kabob but it would be better than nothing! What alternate methods for cooking do you have? Love My New George Foreman Grill! I am all about convenience. Fixing a meal certainly is not the highlight of my day so anything that will make that process faster, easier and healthier is right up my alley. We have used a propane gas grill or a traditional charcoal grill for much of our cooking. I do like that meats cooked on a grill are not sitting in fat like when cooked in a griddle or frying pan. Frankly though I hate starting up the grill to heat or waiting for the charcoal briquettes to be ready. I certainly don’t like cleaning up the gunky messy grill plates later. Also the last thing I want to do in the high temperature and humidity of Houston is be outside cooking in front of a hot grill. So where is the happy medium that balances that out? For my birthday my sweet husband and kids bought me an indoor grill. This is the George Foreman Grand Champ Family Value Grill. Each time I use it I am more excited about the benefits this indoor grill offers and excited to actually cook a meal. The one thing this does not offer that you get with a traditional grill would be the smokey flavor but other than that it does the job very well. This particular grill is just one of many products offered by the George Foreman Line and is their larger family size grill. There are so many things to love! First of all it does not require any cooking spray. You simply start it heating and the indicator light lets you know when it is ready, which isn’t very long. Being family sized I easily was able to cook 6 hamburger patties on it. What is fabulous is the lid closes down to allow cooking on both sides at the same time offering evenly cooked food, no need to turn anything over, and the food actually cooks faster. This grill is slanted to allow juices and fat to run off into a drip tray. Clean up is extremely easy too because once it has cooled off you simply wipe it clean with a towel and warm water. Any juice or food debris can be easily scraped off with the special spatula scraper they provide. The grill does not need to be washed other than that and the drip pan and spatula scraper are both dishwasher safe. It is by far the easiest clean up of any cooking methods I have done. So far I have enjoyed cooking chicken, hamburgers and shrimp and look forward to many other adventures with my new indoor grill. So a special shout out thank you to my family for the fabulous gift! What products are your favorites or make cooking more convenient?